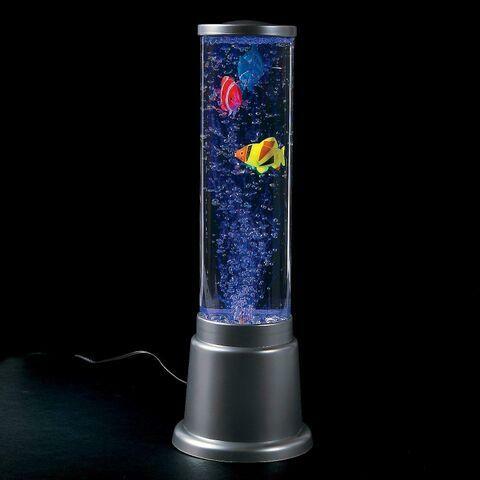 You will be mesmerized by the floating tropical fish. Includes 65" cord with switch. THIS ITEM IS CURRENTLY ON BACK ORDER AND WILL BE AVAILABLE THE BEGINNING OF MAY. WE ARE VERY SORRY FOR THE INCONVENIENCE, IF YOU WOULD LIKE TO PLACE THE ITEM ON BACK ORDER PLEASE CALL US AT 800-467-6222. Dimensions: L: 13" x 4.5" Dia.